Serene Air (Islamabad) is a new airline in Pakistan. On November 19, 2016 the upstart took delivery of the pictured Boeing 737-86X AP-BNA (msn 61352) on November 19, 2016. The new carrier is planning to launch domestic flights in December 2016 with three Boeing 737-800s. 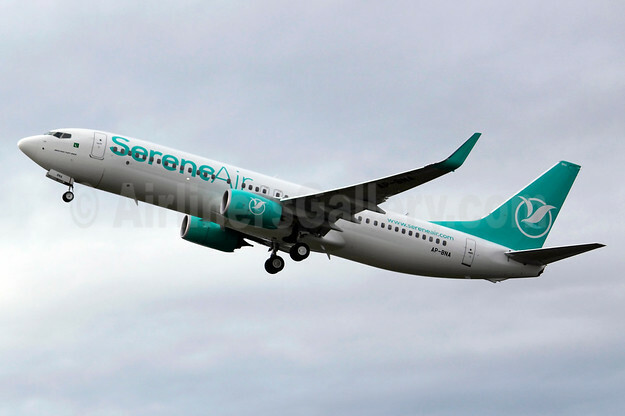 Copyright Photo: Serene Air Boeing 737-86X WL AP-BNA (msn 61352) BFI (Joe G. Walker). Image: 935672. This entry was posted in Serene Air and tagged AP-BNA, BFI, Boeing 737-86X WL, msn 61352, Serene Air on November 22, 2016 by Bruce Drum.